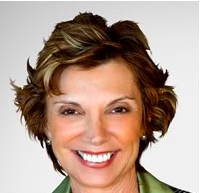 Linda Sherwin – Speaker, Author, Coach. Roughly 61% of employees do not believe what their leaders are saying. Have you had this experience? The importance of communication in the workplace is more vital than ever before. And communication is 360 degrees! How you speak to your people, your peers, your suppliers and your customers will have a direct effect on the success of your business. With today’s high competition in all industries, decreased productivity and performance along with the exit of key employees can be critical for a company’s success or even its continued existence. Remember you’re not the only show in town! Hi, I'm Linda Sherwin, speaker, coach and Amazon #1 best selling author of All the Workplace is a Stage: Acting Techniques to Create Award-Winning Business Performance! Using three simple steps, you can learn how to tap into your own personal effectiveness and individual strengths to be the best! Start now. For instant access to the three steps, sign up below. "Linda is an outstanding coach. In our sessions, she offered me invaluable advice on how to engage and connect the audience during presentations. Her coaching style is unique as she blends deep knowledge on communications skills with high energy, confidence and humor. She is committed to her clients’ success. I also highly recommend her book “All the Workplace is a Stage: Acting Techniques to Create Award-Winning Business Performance”. The analogy of theater is perfect, a really enjoyable reading. "